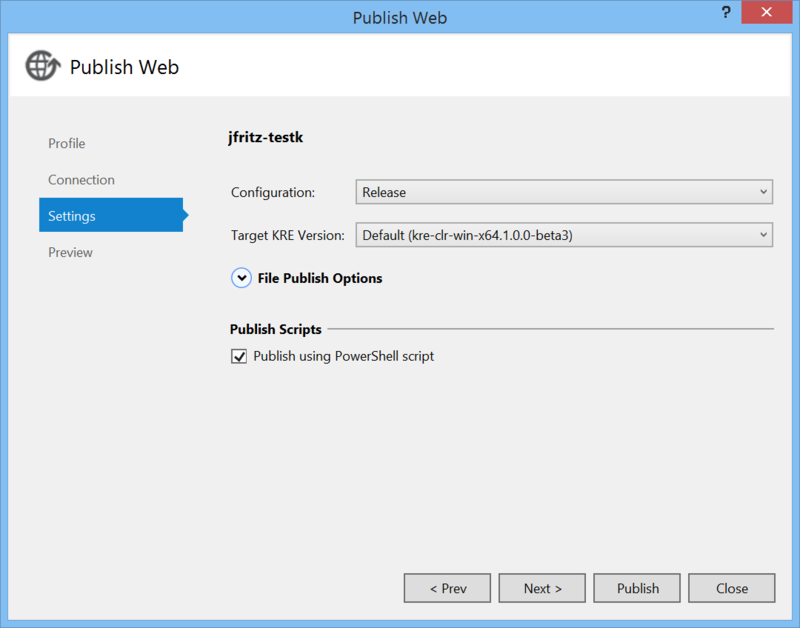 It's time for another Visual Studio 2015 CTP, and with the CTP 6 release in February 2015 you should find a number of enjoyable improvements that every web developer will enjoy. 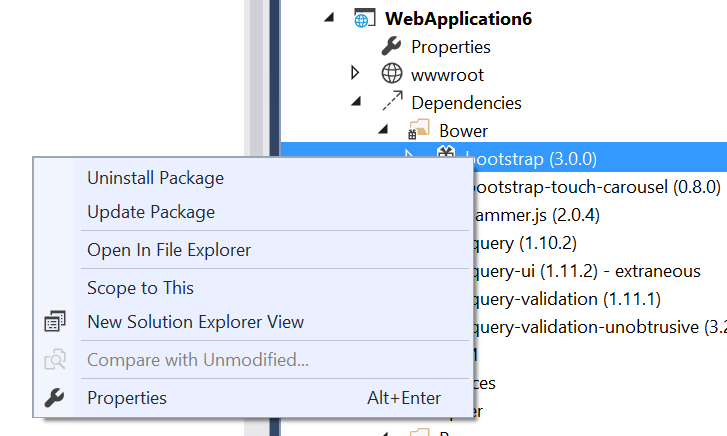 In this article, we'll review the new features and improvements in ASP.NET 5 and the Visual Studio editor improvements delivered in CTP 6. We've organized the New ASP.NET Project dialog a bit. 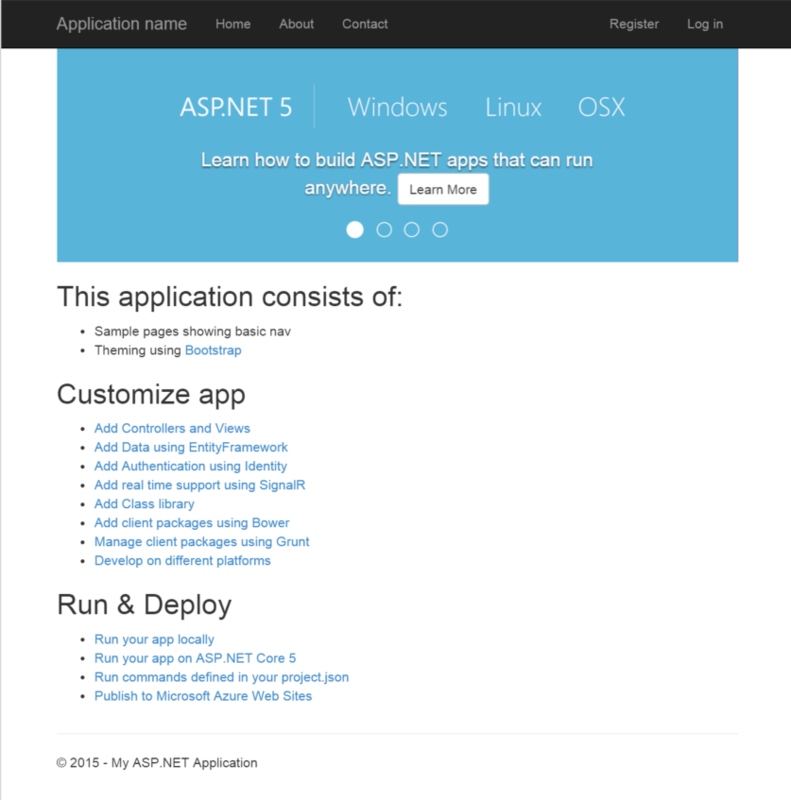 Now, when you want to start a new ASP.NET 5 project, you start by selecting 'File - New Project - Web - ASP.NET Web Application' and the below set of project templates are displayed. 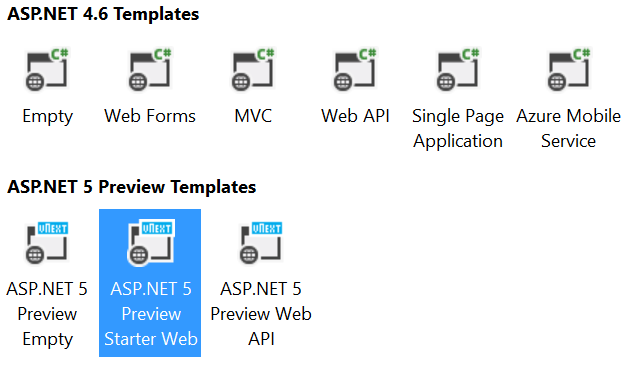 Notice that we have added a grouping for the ASP.NET 4.6 templates that you're probably already familiar with, and the new ASP.NET 5 preview templates. We hope this makes it easier to discern which templates are new in this version and which templates are those you've been working with previously. The new buttons allow you to refresh the contents of the current file, toggle the force flag when running a task, and toggle the verbose flag for a task. In the sample image, we've enabled verbose reporting for executing the grunt-bower task in a default ASP.NET project. If you're like me, you hated having to re-run grunt or gulp tasks each time you changed npm or bower configurations. The project.json file had automatic restore built in for NuGet, so why can't we have it for bower and npm? Yes... yes you can now have it for bower.json and package.json too. Each time you save these files, we will restore new packages immediately in the background for you. The Project K team has been hard at work putting together updates and improvements for your server-side experience. 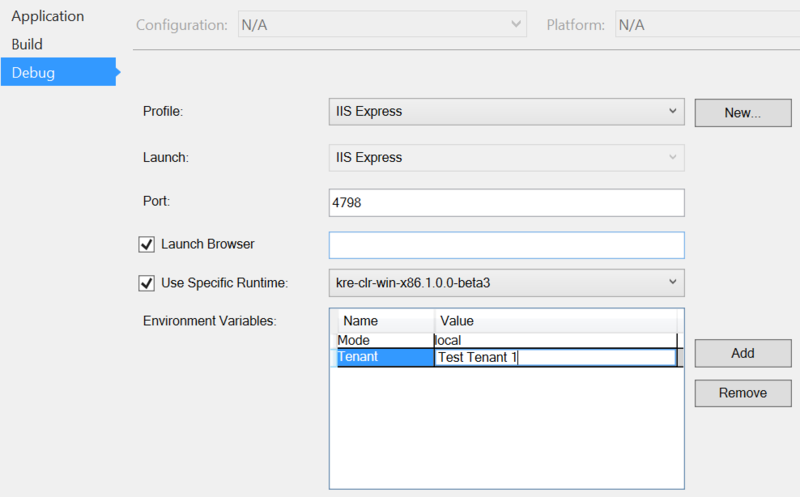 In this release they have delivered a number of performance improvements and some renaming of the subcommands in klr and kpm. 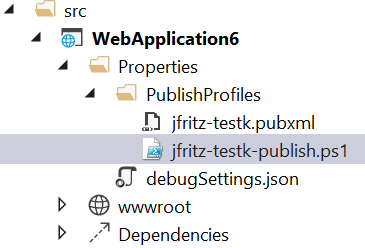 We've also made it easier to convert existing libraries into a nupkg file for use in an ASP.NET 5 project with a updates to the kpm wrap command. 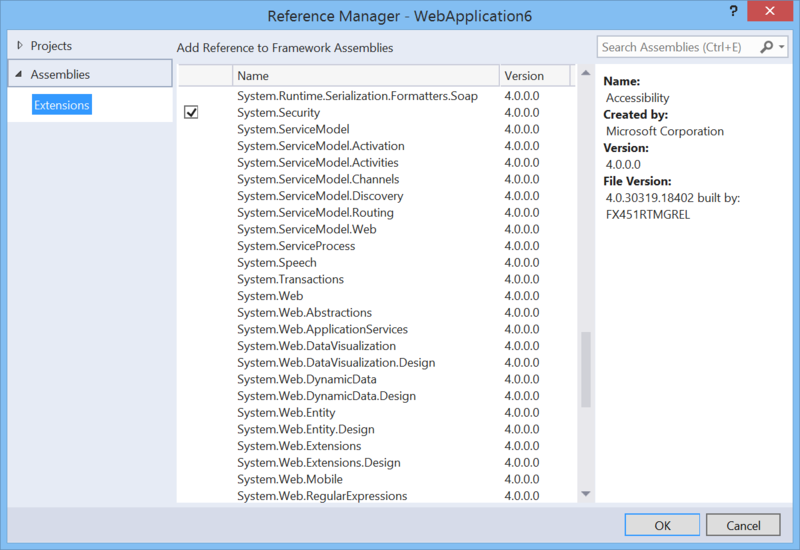 Now you can wrap those assemblies in-place, which should make it easier for use in continuous integration environments. Keep an eye on our Web Development and Tools blog this week as we have a number of articles planned that take a deeper dive on each of these topics. Do you like what you see? Are these improvements going to help you as a web developer? Write back to us in the comments below... we read all of them, and if you're lucky your feature suggestions will make it into the next release of Visual Studio.